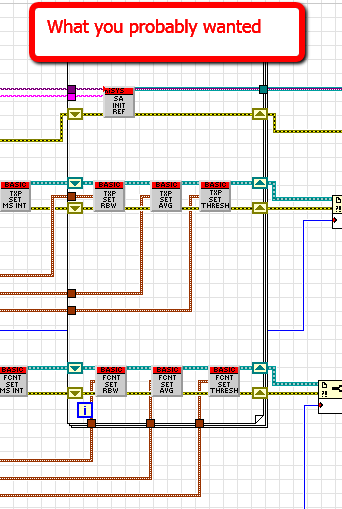 Want to be the best LabVIEW developer around? 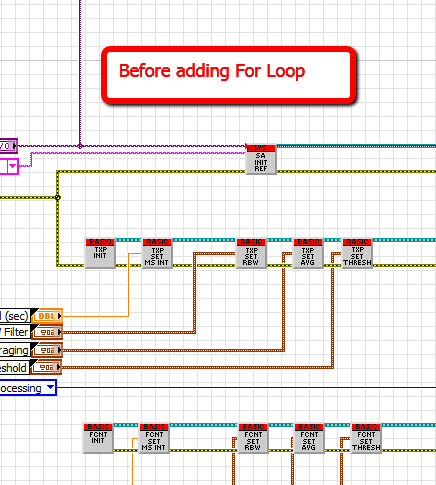 Ever want to drop a for loop around a chunk of code and Not have auto indexing created on all the terminals and have all terminals that you want to 'pass through' the loop be turned to Shift Registers? Download the attachment and check it out. Feel free to make it into a quick drop shortcut and post online. It's not bulletproof and due to time constraints, not robust error checking. Nice tool Norm, but I would almost bet that in the code you show in the screenshots the upper most VI should probably not have been included in the loop. It would seem that you "leak" object references that way that never are gonna be used in the program if the loop executes more than once. 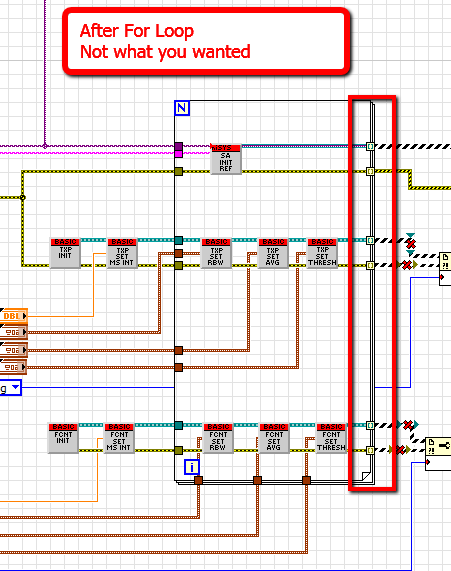 But it's an interesting example that your wizard is actually very smart to only turn tunnels into shift registers that make actually sense. Personally I think a combination of the old behaviour with yours would be best. The uppermost object reference should most likely be autoindexed. Nice, but is it possible to have it in LV2011 or below. Rolf, yes, good catch, it was only for example. Originally the code only looked for it's mate by location, Which in the case of the upper information, failed. So I put a type check inplace and that was simply the invocation of the test. "Ever want to drop a for loop around a chunk of code and Not have auto indexing created ..."
A trivial solution to the first problem (sometimes all we want is no autoindexing!) is to place a while loop, then immediately change it to a FOR loop (right-click...replace).